Patrick J. Foote is is a staff contributor at People's World specializing in multi-/social media and outreach strategies. 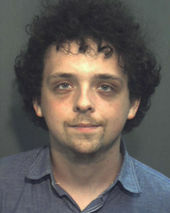 At the University of Central Florida, he worked with the Student Labor Action Project organizing around the intersection of student and worker issues. He would go on to work in the labor movement in such organizations as Central Florida Jobs with Justice, AFSCME Council 79, and UFCW Local 21. Studied Political Science at University of Central Florida, and at Ridgewood High School. Worked at Student Labor Action Project at UCF, ATU Local 1596 and Committee to Elect Alan Grayson. In 2013, Patrick Foote joined as Central Florida Jobs with Justice, as Transit Rider Organizer, working directly with Transit Rider Union Orlando or TRU. Foote has been an active leader of the Student Labor Action Project at UCF and taken on mobilizing students for worker rights. He played a key role in planning of actions with National JwJ campaigns including Justice@ Verizon and support for OURWalmart members on Black Friday. The Communist Party USA, Florida District, a party with a growing presence within the Sunshine State's progressive movement, held its convention in Orlando circa May 2014. This was the first such gathering in the state since 2006. Patrick Foote, 24, has been a member of the CPUSA for a year, and says that one of the most important areas of struggle for him is advancing the right of workers to organize. "I believe that capitalism, inevitably, is going to be the death of our species. Economic anarchy will only harm over time," he said, noting the effects of the profit system on the environment and indigenous peoples. With Patrick Foote, Marky Dred, Josh Leclair and Eddie Yarbrough. This is the OFFICIAL discussion forum for members of the Communist Party USA (CPUSA), District of Florida. Those invited to participate on on Facebook included Patrick Foote. This page was last modified on 15 January 2019, at 14:43.